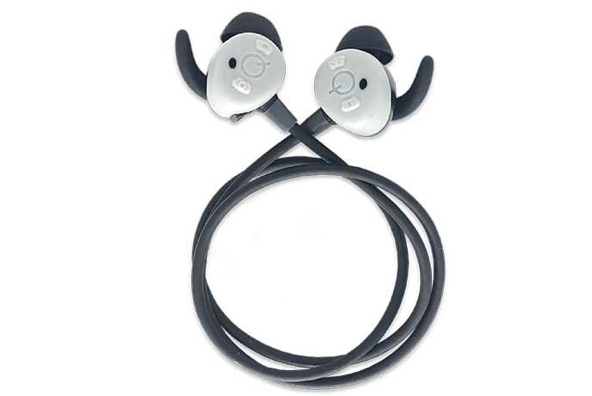 There’s something pretty cool about wireless headsets and earbuds. Letting your users talk on the phone and listen to music completely untethered from their mobile device is innovative. Or it was, until your competitors all caught up with you. Are you ready for your next competitive differentiator? How about push-button access to Amazon Alexa through a wireless headset? To kick off another innovative category of devices, we’re announcing the availability of the Qualcomm Smart Headset reference design and development kit. Manufacturers and developers looking for an edge in wearables/hearables can now evaluate Alexa-on-the-go: a Bluetooth-connected headset featuring one-touch, push-button, interaction with Alexa through the user’s mobile device. With the products you create around the Smart Headset reference design, your users can access Alexa through their Android smartphones and tablets running the Alexa app. At the touch of a button they can enjoy the convenience they expect from products in the Amazon Echo and Fire families. Interacting over the same voice interface, they can access Alexa skills including calendar management, smart home control, streaming music, weather updates and access to Amazon. Based on Qualcomm Technologies’ Bluetooth Audio SoC QCC5124, the solution combines ultra-low-power consumption to help extend playback time and battery life. Qualcomm® cVc™ noise reduction technology supports active noise cancellation and superior audio quality while in a voice call, and Qualcomm® aptX™ HD designed for high-resolution wireless audio can also be added. What’s inside the Smart Headset Reference Design? That’s the full complement of technology built into this first-available, end-to-end Bluetooth reference design. This end-to-end Bluetooth Smart Headset reference design allows you to support a simple push-button activation of Alexa for an Android phone that has the Amazon Alexa app installed. You work with the headset over a USB connection to a PC, as you would with a typical development kit. Once you’ve downloaded and installed the product kit, you test USB communication with the headset and flash the image to it. Pair the headset to an Android phone over Bluetooth, then install the Amazon Alexa App from the Google Play Store. Inside the app you can add the headset as a recognized device and bond it to the phone. After you’ve finished your evaluation of the reference design, you can step up to the Smart Headset development kit for Amazon AVS (below). A comprehensive, customizable development kit designed to include the building blocks needed to create a smart headset which supports Alexa, making it simpler to start developing straight out of the box. The Qualcomm® Smart Headset Development Kit for Amazon AVS is the first to support Alexa Mobile Accessory Kit (AMA), a protocol that runs over Bluetooth that allows users to easily connect their Bluetooth wireless technology audio devices with Alexa, using the Alexa Mobile App on Android or iOS devices. This means device makers no longer need to integrate with AVS or to add any communication hardware beyond Bluetooth, which reduces cost and accelerates time to market. At a high level, AMA allows AVS to send speech from the accessory to the Alexa service and a control service for exchanging control messages between the accessory and the Alexa Mobile app. Bespoke development of the Smart Headset Reference Design is possible with the Bluetooth Developer License. 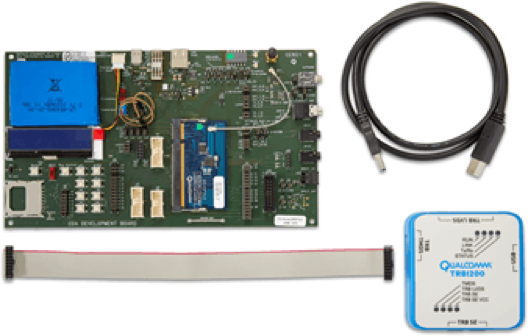 For more detailed hardware development, the open board development kit can be purchased along with a Transaction Bridge for debugging. The Smart Headset is the first opportunity to offer voice interaction and hands-free control of Alexa to users on the go. We’ve made it easy for manufacturers to develop wireless earbuds and hearables around Alexa. The Amazon mobile app on the phone does the heavy lifting of connection to the cloud for natural language processing and AMA takes care of getting voice commands from the headset through to the mobile phone, and responses back to the headset. Have a look at our product brief on the Qualcomm Smart Headset reference design for Amazon AVS. Better yet, both the reference design and the development kit are available now from Digi-Key Electronics. Purchase yours now and get your competitive advantage back. Chris is Sr. Director of Product Marketing with the Qualcomm Voice and Music group, leading the Personal Audio business driving growth and innovation for headphones, headsets and hearables.